Dust can be detected even in the cleanest apartment, which is cleaned several times a day. The smallest particles tend to accumulate in carpets, mattresses, curtains and under couches. This is why people allergic to dust are constantly in contact with the allergen and constant discomfort. To get rid of it, allergies to cure. Often dust Allergy causes a hypersensitivity of the human immune system to the proteins and proteins contained in the waste products of cockroaches, ticks and other insects. In addition, allergic reactions to the dust can be triggered by various fungi, the cells of the mold, the microscopic dead skin cells, food debris and pet hair. Symptoms of this type of allergies are a redness and itching of eyes, excessive lacrimation, irritation, runny or stuffy nose. Usually people who came into contact with a dust allergen, beginning to sneeze, blow your nose a light, clear secretions and to feel shortness of breath and shortness of breath. Some may start an attack of bronchial asthma, accompanied by wheezing and coughing. To diagnose the presence of Allergy to dust can be long-term above symptoms in the absence of colds and to increase with the spreading of bed, no wet cleaning, or the shuffling of clothing. You can also do a blood test for immunoglobulin E or skin to go through a provocative test. Usually dust allergies are treated in two ways – avoidance of the allergen (the observance of regular wet cleaning, temperature and ventilation) and the usage of medical drugs. These drugs include antihistamines, which eliminates the sneezing, itching and watery eyes, for example, "loratadine", "Diphenhydramine", "Levocetirizine", "Suprastin", and so on. Also proven decongestant medications ("Sudafed"), which reduce the amount of discharge by relieving swelling of the mucous membrane of the nose. Develop allergic reactions do not allow hormones or local steroids ("Nazoneks"), and special Allergy injections, which only appoint the attending allergist. Allergic to dust eventually did not turn into severe form of asthma, it is strongly recommended not to self-diagnosis and especially treatment. Especially if the allergies are children. Treatment of Allergy to dust is assigned regardless of the type of dust. In the treatment process is required not only to focus on medical decision problems, but also to maintain the body in good shape with the help of hardening, proper nutrition, walks in fresh air and active lifestyle. 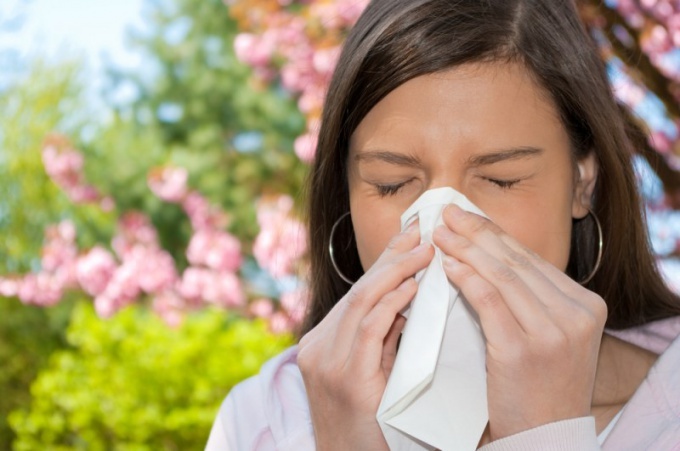 Usually the signs of an allergic reaction to dust almost similar Allergy to pollen. Generic drug that can completely cure dust allergies, today does not exist. House dust consists of the spores of yeast and mold fungi, mites, small particles of the surface layer of the skin and other waste products. Sources of dust are surrounding us things: carpeting, stuffed toys, old paint and more. In addition, it is difficult even to imagine how much dust gets in the home from the street. Allergic to dust has its individual manifestations. Even if someone of the close relatives suffer from any kind of allergies and all the symptoms together, without a full examination to diagnose impossible. Very often allergic to dust is manifested as rhinitis and asthma, in some cases, added to allergic conjunctivitis. Symptoms do not depend on the season and worry throughout the year. Once you find out that you are allergic to dust, reduce the amount of dust in the apartment. The less the body will be exposed to "stimulus", the less likely that the disease will progress. Try to get rid of soft toys, canopies over beds, carpets, furs. Instead of curtains set of blinds. All the small knick-knacks, Souvenirs, magazines and books store in drawers or on the glass shelves. If you have Pets, do not let them into your bedroom. Pillows and mattresses should consist of a material which does not cause allergies. Spend damp cleaning daily, cleaner use as intended at least twice a week. For the treatment of acute manifestations of the disease use tools from allergies, have a sedative and calming effect. But they cannot be used by people whose work requires more attention, concentration and quick decision making. Antihistamines can relieve itching and sneezing, they are available not only in tablets but also in the form of eye and nasal drops. Stuffy nose decongestants can be removed means. Very effective and nasal steroids topical use, helping to eliminate inflammation and symptoms of Allergy. To completely and permanently get rid of allergies to dust it is impossible, but if you support the immune system, as well as the cleanliness in the room, the more chances that Allergy will not occur. 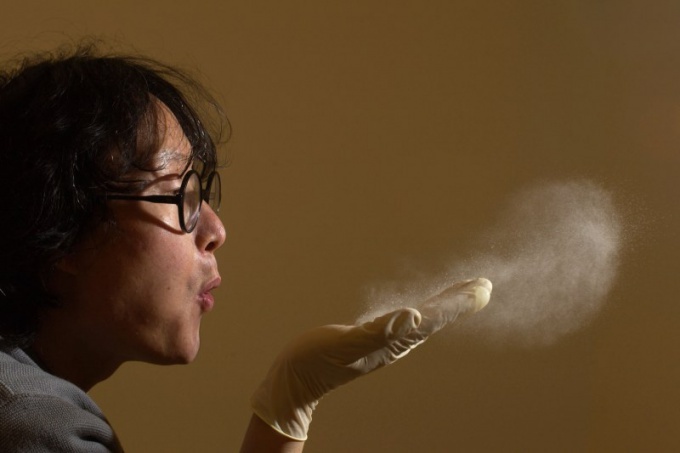 Dust is also a vehicle to spread viruses and bacteria. In the morning, leaving the house, cover the bed and pillows are plastic covered. Do not put in internal bins bed blankets and bed linen.